Born, raised and educated within the boundaries of the 98th Legislative District, Dave Hickernell is a product of the communities that he represents and serves. He is committed to standing up for the conservative views and values deeply held by the residents of those communities. Now in his ninth term, the Marietta native has been named Chairman of the House Professional Licensure Committee for the 2019-20 session. He also serves as a member on both the House Education Committee and the House Rules Committee. In previous sessions, Hickernell served as Chairman of the House Education Committee, and Chairman of the Tourism and Recreational Development Committee. Hickernell’s public policy experience dates back to the early 1980s. He joined the staff of the House Republican Caucus as a legislative assistant after graduating from Elizabethtown College. Over the next 17 years, Hickernell worked in key staff positions for the Caucus, including Director of the House Policy Committee, Executive Director for the Majority Whip’s Office and, ultimately, Executive Assistant to the Majority Appropriations Chairman. During Hickernell’s first term as a legislator, he saw three of his bills become law. His ability to move legislation has continued throughout his legislative career, with 11 of his prime-sponsored bills having been signed into law. A leading advocate for children in foster care, Hickernell has had two major pieces of legislation signed into law that help foster children and families. In 2005, Hickernell authored House Bill 1579 which was signed into law as the Resource Family Care Act. It gave foster parents more input into the life decisions made on behalf of the children in their care, and more clearly defined the responsibilities of social service agencies to foster families. The law established commonsense measures to ensure that foster parents get the support necessary to provide a nurturing, healthy home environment for the children in their care. In 2015, Hickernell’s Activities and Experiences for Children in Out-of-Home Placement Act (House Bill 477) was signed into law. This helps children and youth who are in Pennsylvania’s foster care system live more normal lives by authorizing the caregivers of children and youth who are in out-of-home placement (i.e., foster care) to approve or disapprove their foster child’s participation in age-appropriate activities just as any other child’s parents would be able. In 2014, Hickernell was approached by a constituent whose child had been killed by a drunk driver. She asked and Hickernell authored legislation to change state law to require Responsible Alcohol Management Training for any seller or server of alcohol in the Commonwealth. Mothers Against Drunk Drivers, the national group fighting drunk driving and underage drinking, named Hickernell Legislator of the Year for his efforts. Hickernell was able to get Responsible Alcohol Training signed into law by getting the language inserted into a larger bill that was moving through the process. 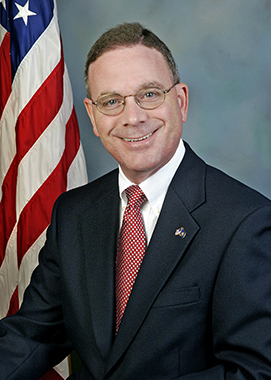 Prior to his election to the House, Hickernell served as Lancaster County’s Clerk of Courts from January 2000 to November 2002. During his tenure in the Clerk of Courts Office, he instituted several positive reforms that made criminal court records more accessible and open to the public. Foremost among his accomplishments was resolving a long-standing problem with the disbursement of fines, which freed up $2.4 million to be put to work for taxpayers. Hickernell is a member of the Elizabethtown Rotary Club and the Elizabethtown Grange. Dave and his family are members of St. Peter’s Catholic Church in Elizabethtown, where he has served in various leadership positions, including president of the church council. A 1977 graduate of Donegal High School and 1983 graduate of Elizabethtown College, Hickernell resides in West Donegal Township with his wife, Karen, and he has one adult daughter.